Now, for today's post! 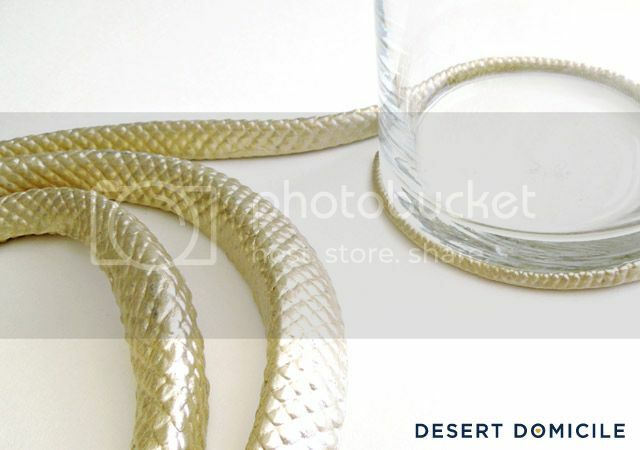 I made a $2* gilded snake vase! 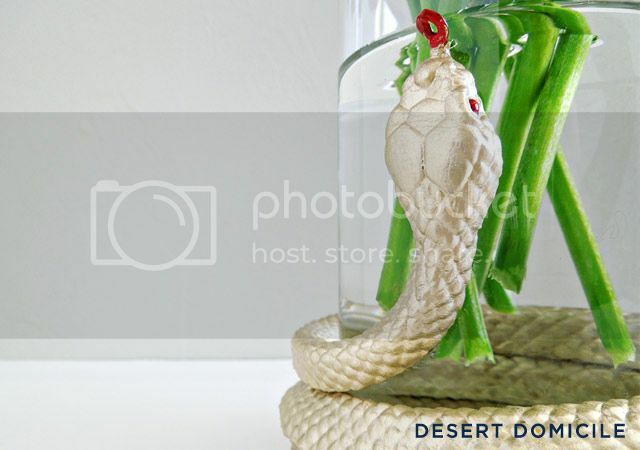 If you're afraid of snakes, you may want to close your browser/email now. Gretchen taught me that you can't spray paint rubber (it never dries) so I hand-painted the snake Martha Stewart's "Golden Pearl". *Fair warning: the $2 cost will go up if you don't have paint or a paintbrush on hand. 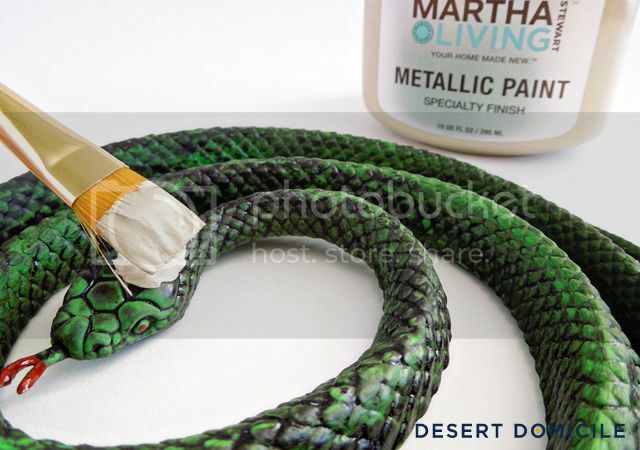 It took several coats to completely gild the snake. I left the eyes and tongue red for fun! 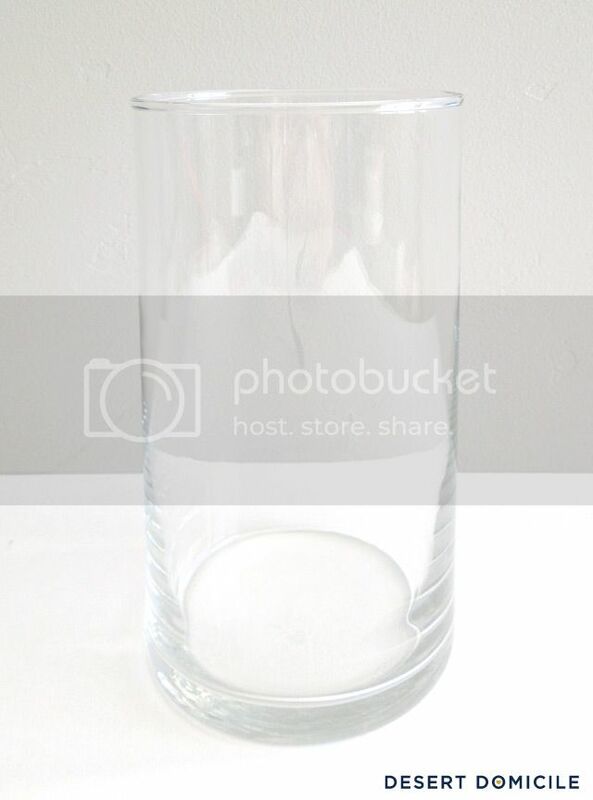 I picked up this clear vase for $1 at, you guessed it, the Dollar Tree! I added a line of super glue to the snake's tail and started wrapping it around my vase. If you don't have super glue on hand, you should be able to find it at the dollar store. 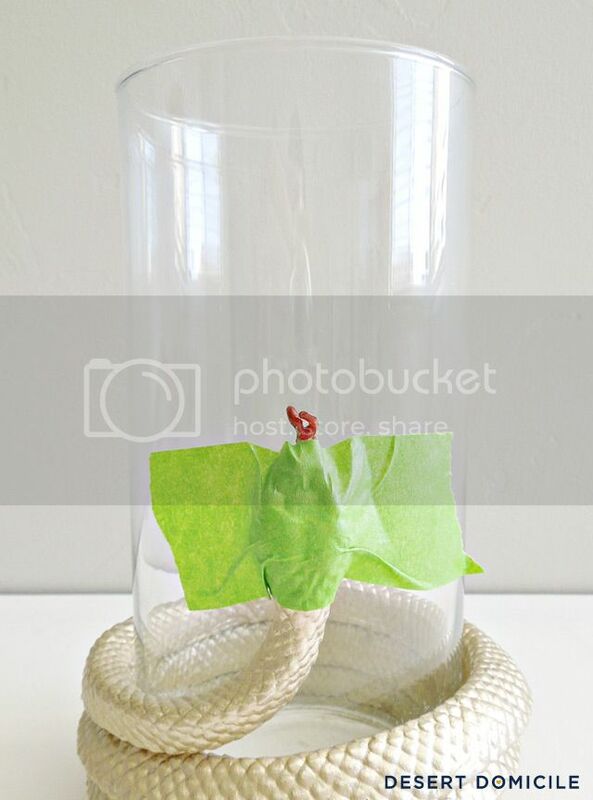 I had a little trouble getting the snake's head to stick to the vase so I wrapped some painter's tape around it and let it sit for a little bit (~5 to 10 minutes). 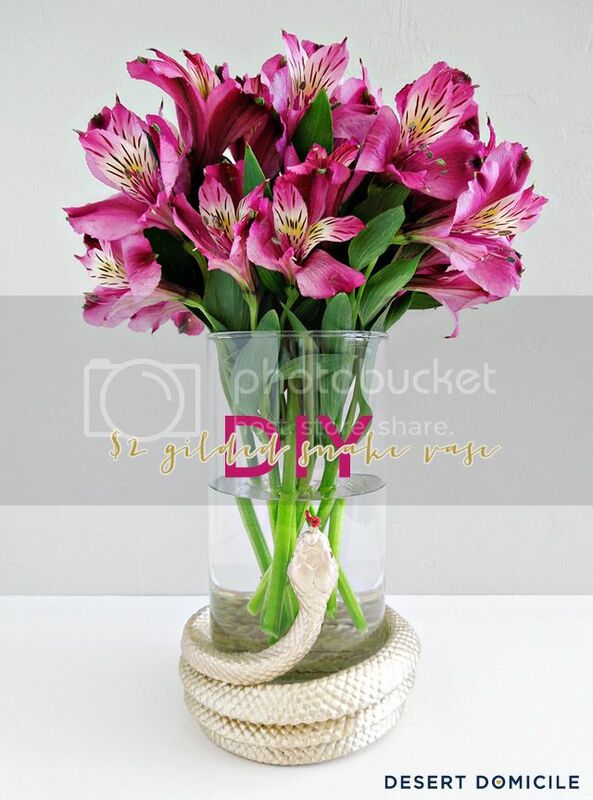 When the snake's head was finally stuck, I gently removed the painter's tape, filled the vase with water, and added some Alstroemeria! The vase turned out better than I expected! 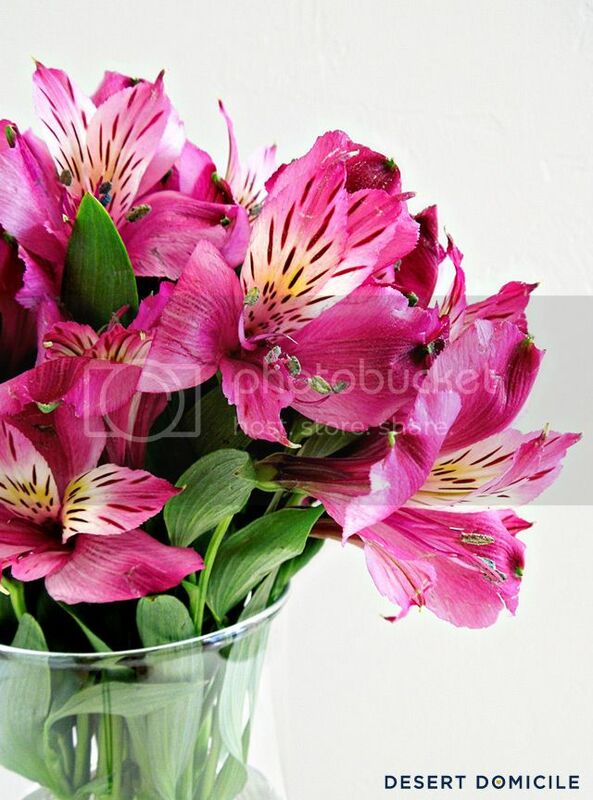 I'm not much of a flower person but I love the Alstroemeria's I picked up for $6! 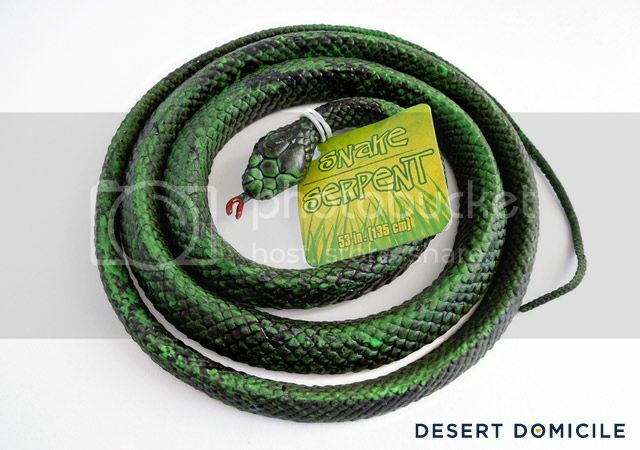 I'll be sharing another snake-based project later this week! ooh! love it--very cool! you know, I actually have some of that Martha Stewart gold paint around that I could have used if I'd only known. Thanks Gretchen! And thanks for testing the "can I spray paint rubber?" waters for me! oh it's soooo good. 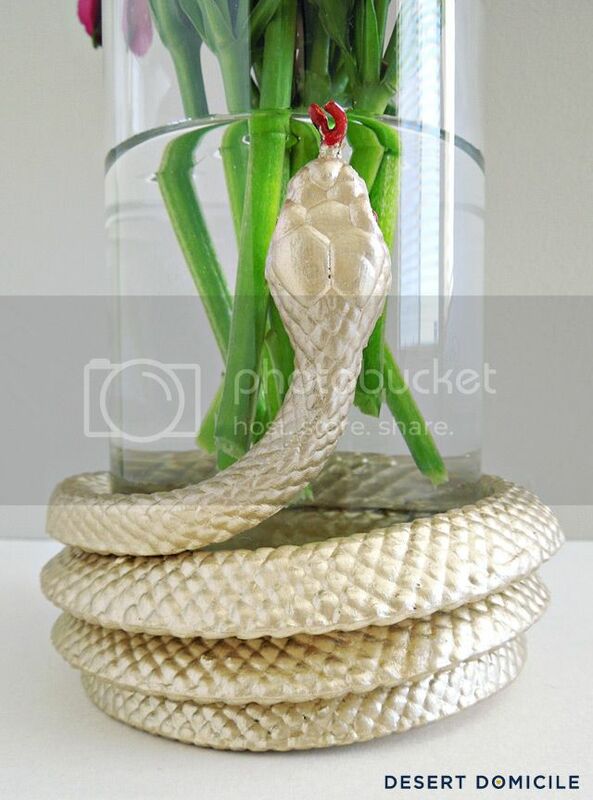 And no, I don't like snakes but now I want to make this... and then gift it to someone! This is awesome - creepy AND elegant at the same time! Love it! This is amazing! 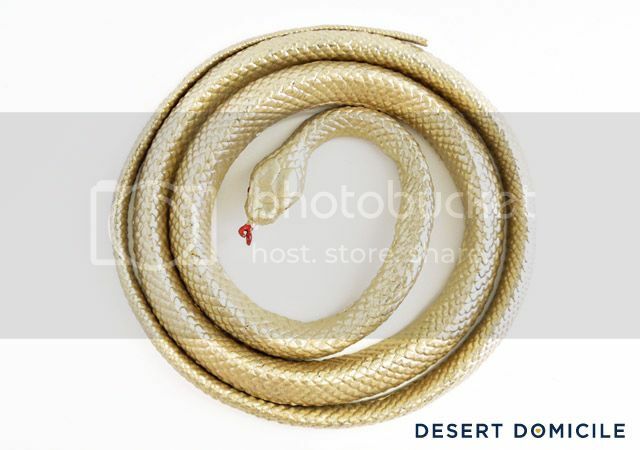 My mom was bitten by a rattlesnake almost ten years ago (she's fine, no permanent damage) so we always get her snake presents. 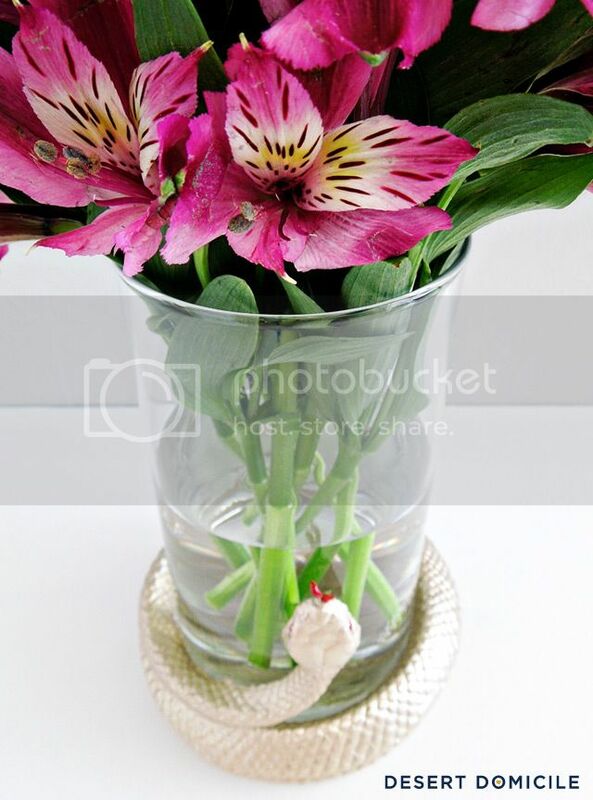 I was thinking about the Nate Burkus snake bowl at Target, but this is so much better! Kudos! Thanks Carolyn! Sorry to hear about your mom! Rattlesnakes are everywhere out here and I'm always worried I'm going to run into one. 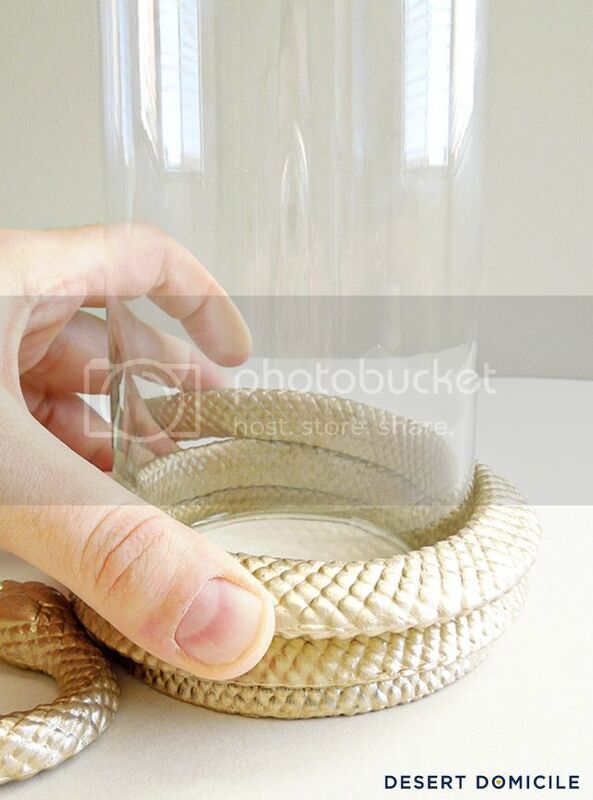 You should try wrapping the snake around the base of a bowl like Nate's bowl! 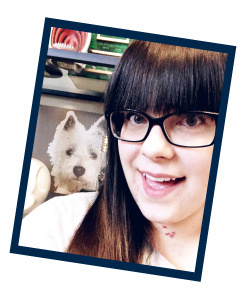 LOVE this, caitlin- so fun and just creepy enough! This is so clever! And I totally found out the can't spray paint rubber thing the hard way a few years ago. Good to know this paint adheres, because I have a little step stool with rubber treads I want to paint and was thinking automotive paint (the kind for bumpers) was my best option. But now I'm going to try this! I love this! Such a chic way to decorate for Halloween! very cool! similar to the Nate Berkus trend at Target right now. Thanks!